Caffé Milano in Grand Indonesia serves authentic, rustic Italian fare transformed into dishes that truly please the local palate. 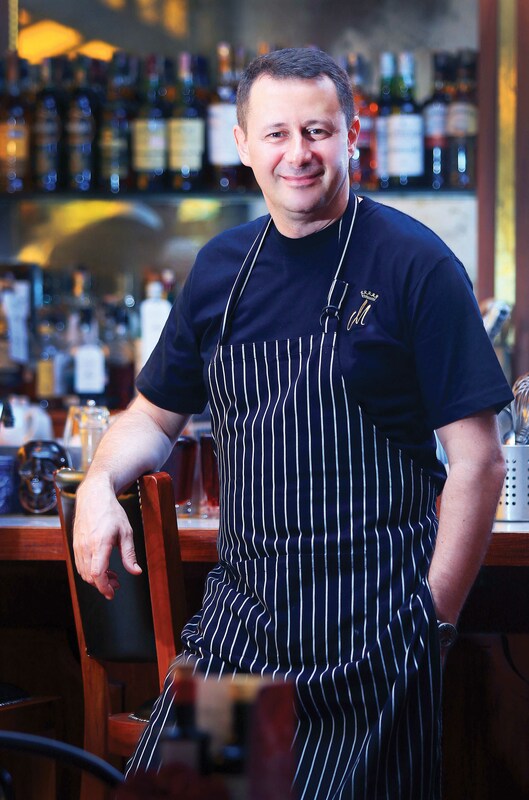 Chef Luca Pezzera has brought authentic Italian to Caffé Milano in Grand Indonesia thanks to his formative years in Lombardi, a town north of Milan, plus years of expertise from managing and owning restaurants across the world. His modern take on the cuisine transforms hearty, rustic Italian fare into simple, easy-to-understand dishes that, nonetheless, are much loved among diners. Here, we get the lowdown on his background, his inspiration, and what to look forward to at Caffé Milano. Indonesia Tatler: You learned to cook from your mother. What advice did she give that influenced you and what's your favourite family recipe? Luca Pezzera: My mother is my inspiration and mentor. She taught me to keep things simple and uncomplicated: use good, raw materials, and then cook and execute them well. One example, and also my favourite among her recipes, is pasta with zucchini and prawns. We served this last year during the Mamma Cucina event when my mother came and collaborated with me. IT: Tell us about the moment when you were inspired to become a cook. LP: I used to go to my neighbour's house to make pizza. It's popular for every house in Italy to have a pizza oven in the garden. In summer, when the oven is hot, they make pizza with everybody and provide the tomato sauce and mozzarella. Everyone goes there, bringing ham or salami, and each one contributes to make the pizza. That was when I was inspired to be a chef. IT: What sets Caffé Milano apart from other Italian restaurants in Jakarta? LP: We serve authentic food in an authentic environment and at good value. There is a real pizza oven here and we utilise imported ingredients, which are not cheap. I think these are what set Caffé Milano apart—when you start cutting costs, you end up with a mediocre restaurant. Twenty years ago you might be able to get away with it, but now that people travel the world, they ask about these things. IT: What's coming up that’s worth looking out for at Caffé Milano? LP: Each month, we take seasonal ingredients from the markets in Europe and we create a promotion with a selection of dishes using those ingredients. For example, after I travelled to Italy in April, white asparagus became a special from the end of April until the beginning of May. To taste Chef Pezzera's creations, visit Caffé Milano on Grand Indonesia's ground floor, inside Central Department Sore. For more information, visit Caffé Milano on social media or go to www.caffemilanojkt.com.